Kelly is actively involved in nutrition research at Cedars-Sinai (with the GI and Clinical Nutrition divisions), and with the Crohn's & Colitis Foundation. Kelly has spoken at both local and national Academy of Nutrition and Dietetics (AND) conferences on the topics of IBD and other digestive conditions. She is also involved with the Crohn's & Colitis Foundation as a member of the Los Angeles Chapter Medical Advisory Committee, as well as a speaker on the topic of nutrition at local patient education events. Dr. Hwang is a member of the American Medical Association, the American Gastroenterological Association, and the American Society of Gastrointestinal Endoscopy. She is on the medical advisory board of the Crohn's & Colitis Foundation. She has received a number of awards and grants in recognition and support of her work and research in inflammatory bowel disease, education, and gastroenterology. Dr. Hwang has authored multiple articles in peer-reviewed publications, such as Inflammatory Bowel Disease, Gastroenterology, and Cancer. She has been invited to talk at many meetings and symposiums, as well as present posters, abstracts, and lectures across the country. 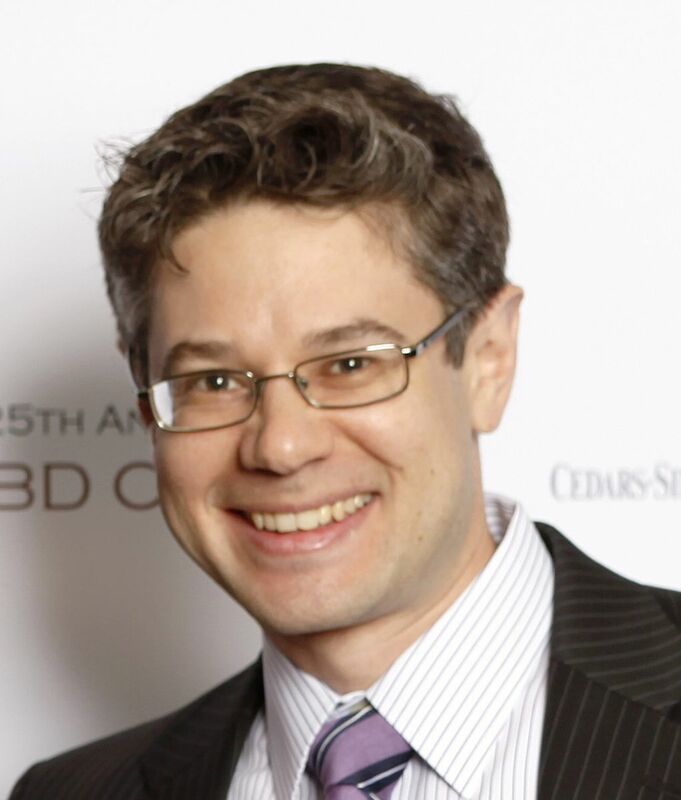 Dr. Melmed is Director of Clinical Inflammatory Bowel Disease (IBD) at Cedars-Sinai Medical Center, and Associate Professor of Medicine at the David Geffen University of California, Los Angeles (UCLA) School of Medicine. His main clinical and research interests are clinical outcomes in inflammatory bowel disease (Crohn's disease and ulcerative colitis), including health-related quality of life, post-operative outcomes, vaccination and health maintenance issues in patients with IBD, and quality of care for IBD. He has authored or co-authored over 70 publications and serves as a review editor for Inflammatory Bowel Disease. He is an active member of the Crohn's & Colitis Foundation, and co-chairs the Los Angeles Medical Advisory Committee as well as the national Quality of Care Committee. Dr. Charabaty is actively involved in patient and professional education. She serves on multiple educational committees and is a consultant for the FDA. 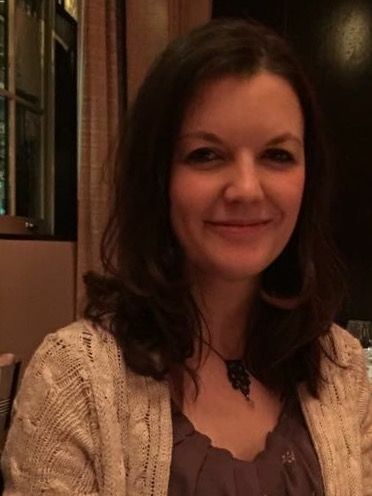 She is the Chair of the Mission Committee of the Greater Washington DC Metropolitan Area Chapter of the Crohn's & Colitis Foundation, and an active member of the Crohn's & Colitis Foundation's physician education committee. She is a member of the American Society for Gastrointestinal Endoscopy, the American Gastroenterology Association, and the American College of Gastroenterologists. 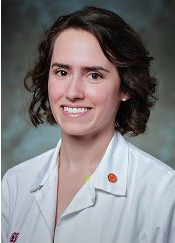 She has received the Celiac Champion award from the National Foundation of Celiac Awareness and the Gastroenterology Award in Excellence in Teaching Residents and Fellows from Georgetown University Hospital. Catherine has spoken about nutritional science at many lectures and events. She is a member of the American Society for Enteral and Parenteral Nutrition (ASPEN), the American Diabetes Association (ADA), and the American Association of Diabetes Educators (AADE). She is a committee member of the Crohn's & Colitis Foundation's Nutrition Care Pathway. Erin's professional focus is on pediatric gastro-intestinal disorders. She is a member of the Crohn's & Colitis Foundation's Los Angeles Chapter Medical Advisory Committee and an annual guest speaker at the Crohn's & Colitis Foundation's support group meetings. Postgraduate Institute for Medicine (PIM) requires instructors, planners, managers, and other individuals who are in a position to control the content of this activity to disclose any real or apparent conflict of interest (COI) they may have as related to the content of this activity. All identified COI are thoroughly vetted and resolved according to PIM policy. PIM is committed to providing its learners with high quality CE activities and related materials that promote improvements or quality in healthcare and not a specific proprietary business interest of a commercial interest. The PIM planners and managers, Trace Hutchison, PharmD; Samantha Mattiucci, PharmD, CHCP; Judi Smelker-Mitchek, MBA, MSN, RN; and Jan Schultz, MSN, RN, CHCP, have nothing to disclose.